Built at a cost of 228 billion rubles, the bridge connects the southern Krasnodar region with the Crimean city of Kerch. Kerch: Russian President Vladimir Putin is set to unveil Tuesday a highly symbolic bridge linking southern Russia to the Crimea, four years after the peninsula was annexed from Ukraine. The Crimean Bridge, at 19 kilometres (nearly 12 miles) will be Europe's longest, overtaking Lisbon's Vasco da Gama Bridge. 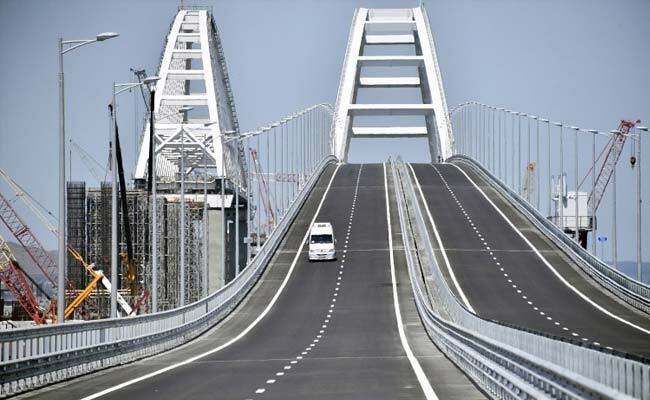 Built at a cost of 228 billion rubles ($3.7 billion), the new structure, connects the southern Krasnodar region with the Crimean city of Kerch, spanning a strait between the Black and Azov seas. Ukraine has condemned the project, which was personally championed by Putin, saying construction has damaged the environment and that larger ships will be unable to get through to its ports on the Azov Sea. Currently the peninsula is hard to reach from southern Russia with long queues of vehicles often forming to board ferries, which cannot always run in winter storms, so the easiest way across is to fly. Crimea is popular among Russians as a summer holiday destination and Putin said in March he would like the bridge to be ready for the season. Russia's last tsar, Nicholas II first proposed such a bridge, but the outbreak of World War I prevented it going ahead. Another unsuccessful attempt was made in the 1930s under Joseph Stalin. During World War II the occupying Nazis also began building a bridge, but abandoned the project. 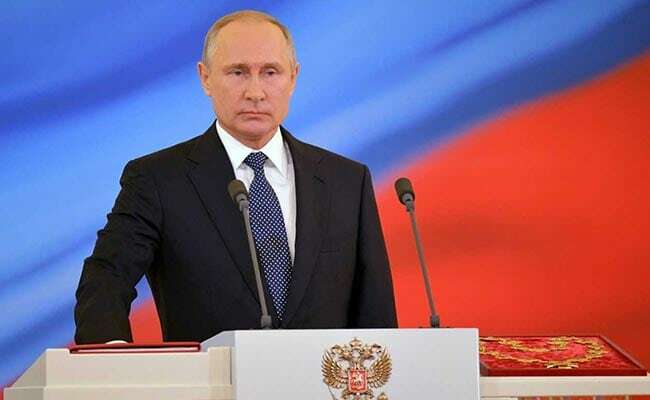 "Putin once more demonstrated that when he carries them out, even the most ambitious plans can be achieved," Kremlin spokesman Dmitry Peskov told journalists Tuesday. "Today, both in a practical sense and from a symbolic point of view, is an extremely important day," he added. In March elections, Russians overwhelmingly voted for Putin to serve a fourth Kremlin term, but an opinion poll by the independent Levada centre found 45 percent of the population think he is failing to ensure that the country's oil and gas revenues trickle down to benefit ordinary people. Nevertheless, a Levada poll in March found 70 percent of Russians thought taking Crimea had been beneficial.